Featured amenities include complimentary wired Internet access, complimentary newspapers in the lobby, and a 24-hour front desk. A roundtrip airport shuttle is provided for a surcharge (available 24 hours), and free self parking is available onsite. Make yourself at home in one of the 156 air-conditioned rooms featuring minibars and flat-screen televisions. Rooms have private furnished balconies. Complimentary wireless Internet access is available to keep you connected. Private bathrooms with bathtubs or showers feature complimentary toiletries and hair dryers. 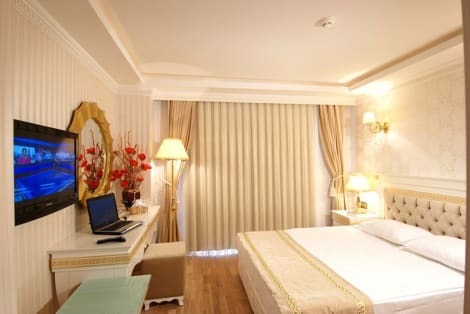 With a stay at Aspen Hotel - Special Class, you'll be centrally located in Antalya, just a 5-minute walk from Antalya Bazaar and 7 minutes by foot from Clock Tower. 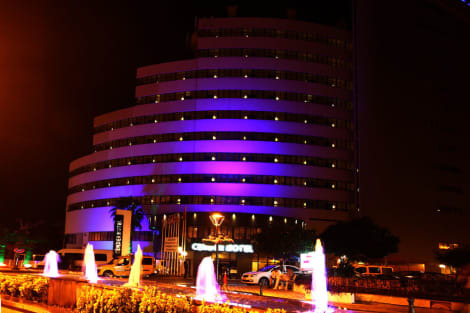 This 4-star hotel is 7.3 mi (11.7 km) from Lara Beach and 3.7 mi (6 km) from Konyaalti Beach. Situated in Antalya's old town 100 m from the Broken Minaret, this hotel offers Ottoman-style rooms and it's own open-air museum. The hotel has a private courtyard with a mosaic terrace and swimming pool. Each air-conditioned room at Alp Pasa Hotel is individually decorated. Standard amenities include a satellite plasma TV, and some include a spa bath. Alp Pasa’s restaurant features a cosy fireplace and offers a varied buffet each day. During the summer, guests can dine on the poolside terrace. Snacks and cocktails are served at the poolside bar. Alp Pasa is less than 1 km from Antalya City Museum, and is a 5-minute walk from Mermerli Beach. Hadrian's Gate is 100 metres' walk. EXPO 2016 Antalya is 23 km from the property.